Where is Harper Park? Never heard of it. Oh, is it that place in the SW end, north of Sir Sandford Fleming Drive, you know, the one with the barbed wire fence around it? Isn’t that an industrial park, or an old dump? 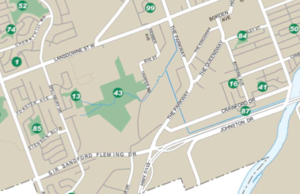 Harper Park is Park #43 on the Peterborough City Parks map. Access is possible through Bridlewood Park (3 hour parking is available on Ramblewood Drive) and from Harper Road, but there are no signs identifying the park as such, nor are park boundaries marked. Harper Park remains relatively unknown to the citizens of Peterborough. Some may say that this is a bonus, that the cryptic nature of the park has allowed it to remain in its natural state, with its wild inhabitants relatively undisturbed. The flip side of this argument of course, is that it is hard to feel an attachment to a place if you have never interacted with it in a meaningful way. Such is the conundrum with Harper Park. 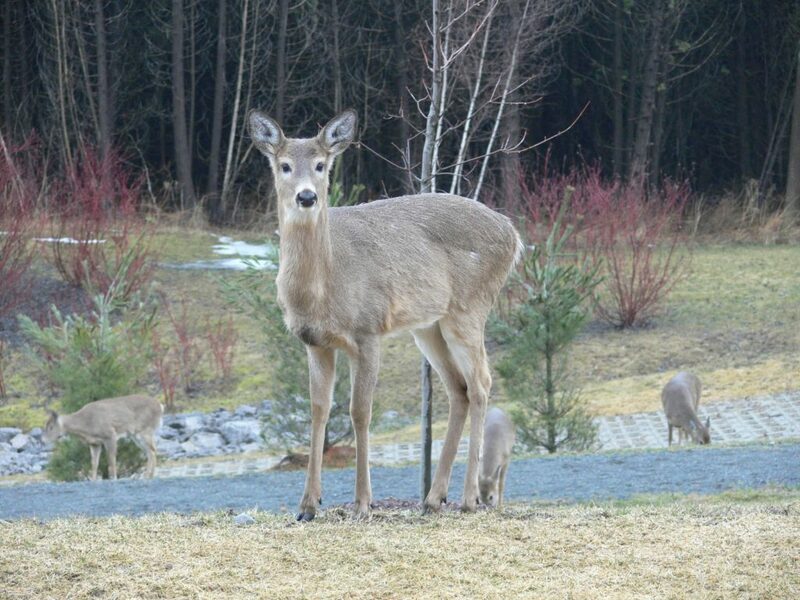 The residents of Westview Village have counted as many as 18 deer in the Harper Park herd, including fawns. It is important to maintain wildlife corridors, linkages between natural areas such as the land link between Harper Park and the Parkway Woods, to allow young deer to establish in new territory. If we sever these linkages, animals become “islanded” leading to inbreeding, starvation and disease. Picture courtesy of Rene Gareau. Now fast forward to 2013 and you will discover that no park management plan exists, development pressure is stronger than ever before, and in amoebic fashion, the City is threatening to engulf all remnants of natural heritage in its search for available lands. This includes the lands adjacent to Harper Park which sits perilously close to the planning area enthusiastically referred to as the “Gateway” to Peterborough. Numerous projects have been suggested for the Harper Road/Crawford Drive area including: two regulation sized baseball diamonds with lights and parking, a passenger rail station, a hotel and conference centre, gas bars and restaurants, and most recently (and alarmingly) an OLG Casino with 3 acres of planned parking. 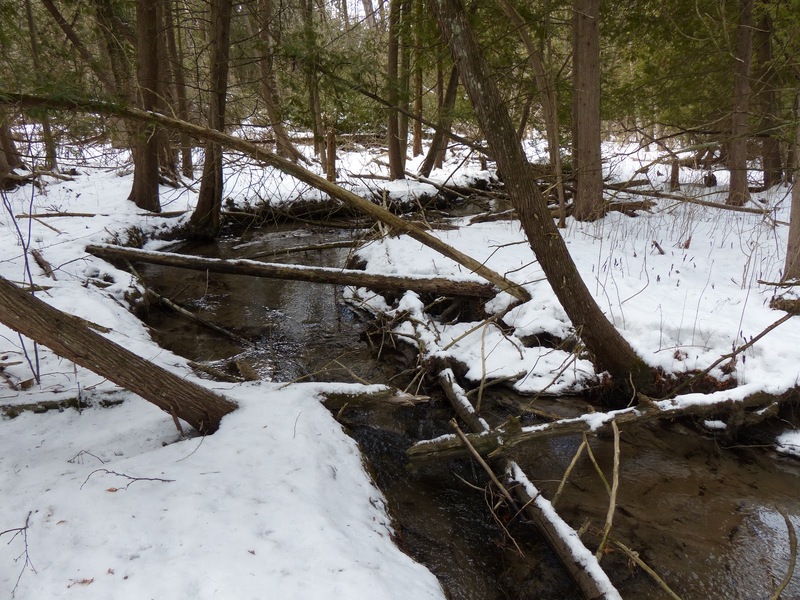 In a 1997 Subwatershed report, the Ministry of the Environment stated that this [Harper Creek] “is the only cold water trout stream which runs through a municipal area within Ontario”. Picture courtesy of Don McLeod. So the dilemma is not really if we should make the park more accessible, but how do we get people to experience this park before it is too late. Thus it is time to raise the profile of park, to engage folks with the “WOW” factor of exploring and discovering native flora and fauna in an urban, natural environment park that is on the City bus route! and then contacting your Peterborough City Council representatives. Thank you for helping us to raise the profile of Harper Park!